Keep in mind that no matter what kind of plumbing problem you may be experiencing, Mojica Plumbing and Drain Cleaning, one of Round Rock’s top-rated plumbing companies, has a safe and effective solution. In today’s conclusion, we will explore four more common household problems that can damage the structural integrity of your home. A sump pump is one of the most essential pieces of equipment for any home that has a basement or crawlspace, or other low-lying places around the home that are susceptible to flooding. The sump pump, which is installed in a sump pit in the lowest part of a home, pumps water out of the pit and away from the home to keep spaces dry and to prevent flooding. Sump pumps are meant to protect the home from flooding in low-lying areas during severe weather or when an appliance fails. While these common household fixtures were designed to work in even the toughest conditions, they, like other systems in your home, can fail. Whether it is overworked or stops pumping as a result of an internal failure, water can flood a basement or crawlspace quickly without the help of a sump pump to remove the water. Water can damage the floors, walls, ceilings, and any belongings stored in these areas. A broken water heater can be the cause of many problems, one of them being water damage. While a water heater leak may seem small and insignificant at first, it can turn into a much bigger problem if you ignore the leak. Water heaters are complicated fixtures that contain many different components. Water heaters feature tanks that can crack over time due to expansion and constriction as a result of temperature changes. These cracks are usually small, but there are usually more than one, which can lead to small leaks from your water heater. Additionally, your water heater may leak if the cold water inlet or hot water outlet connections are loose, the temperature and pressure relief valve is defective, the heater drain valve is open, or if the bottom of the water heater tank has an internal leak. A water heater will also leak due to old age and deterioration, so if you think your water heater needs an upgrade, call our experts at Mojica Plumbing for a water installation. When a toilet runs constantly, not only is it a nuisance, but it is also wasteful and costly, and can increase your monthly utility bill. Oftentimes, simply replacing a part can solve the issue, however, a running toilet can also be the sign of a deeper problem in the plumbing, which can lead to a significant leak that could eventually flood your bathroom and any surrounding rooms. This is especially true if you have a septic system in your home, as the constant flow of water can flood the septic tank, resulting in a saturated drain field that will likely fail. If you need the assistance of a professional to stop your toilet from running, call our local plumbers today! Garbage disposals are resilient kitchen appliances that, when taken care of, can last for decades. However, garbage disposals do break and when they do, your kitchen could be at risk of water damage. Over time, garbage disposals get old and become more susceptible to spring a leak. One of the most common reasons your waste disposal leaks is because the sink flange or puddy seal connecting the appliance to your sink has either come loose or has corroded. This is a simple fix in most cases. However, if your disposal is leaking from the bottom the internal seals in the actual disposal could be worn out. Another reason your disposal is leaking might be from the drain lines, which you can simply tighten or reseal. Generally, any water damage from a broken garbage disposal will be minor to moderate, depending on how long and how much water has been leaking, and the damage will usually be confined to the cabinet encasing your disposal. But when a garbage disposal leak goes unfixed, the damage becomes worse and can affect the flooring in your kitchen and may even spread to other cabinets, causing damage to your belongings. This concludes our blog series where we have explored the most common causes of water damage that could affect your home in Round Rock. If you would like to schedule a plumbing inspection, a water heater repair or installation, a slab leak detection or repair, or one of our other plumbing services, call the Mojica Plumbing team! 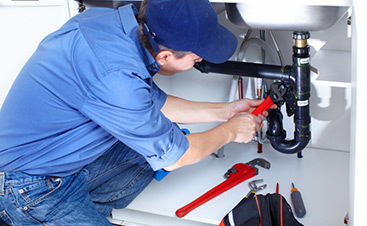 We will ensure your plumbing systems are functioning properly to help prevent leaks, flooding, and other issues that could damage your home and belongings. 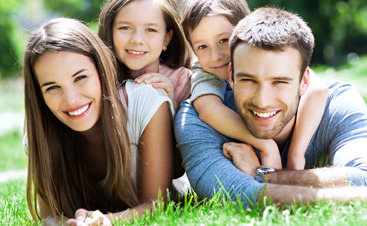 As one of the top plumbing companies in Round Rock, our priority is to keep you and your loved ones safe and comfortable by providing you with the most effective plumbing solutions to your plumbing problems in an effort to keep your plumbing in top shape. 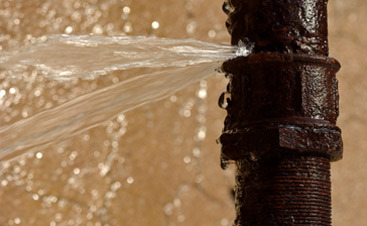 Contact us today and let us safeguard your home from plumbing issues that may arise.